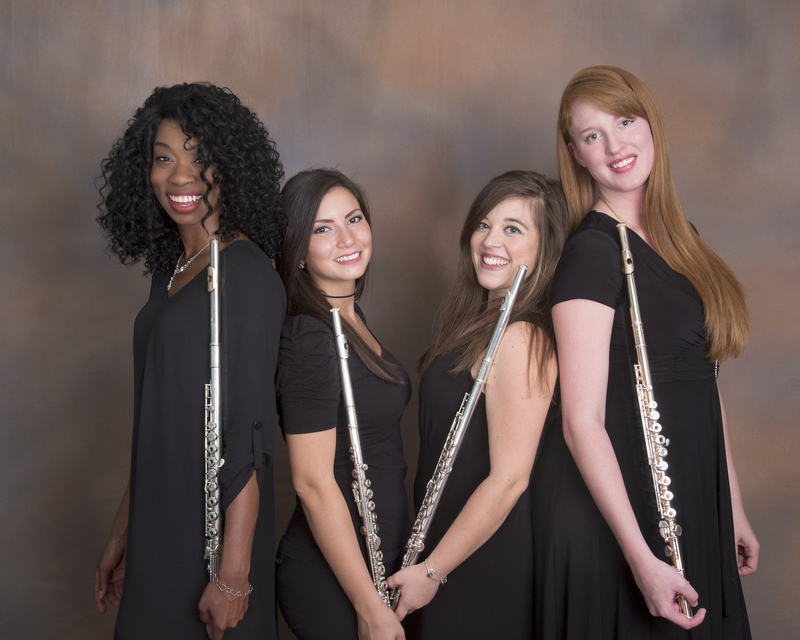 BETA Quartet, comprised of West Virginia University graduate flute students and alumna Brittany Trotter, Eftihia Arkoudis, Tatiana Cassetta, and Alyssa Schwartz have successfully released their debut album with local recording engineer, Alexander Merandi. The ensemble celebrated the release of this recording on October 29, 2017 at 7:00 pm at St. Francis Catholic Church in Morgantown, WV. “We are extremely happy that so many joined us to for our release party, and that we got to share the completion of a significant project with them. We love what we do. We are also very thankful to Donna Kinsey, the Music Director of the parish, who helped us make this event a success,” said Eftihia Arkoudis, a second-year doctoral candidate from Greece. BETA’s self-titled album includes a well-rounded program of newer works, which supports one of the ensemble’s values of championing contemporary music by living composers. The varied nature of the repertoire showcases many different compositional and flute-playing techniques, displaying everything from traditional harmonies as heard in “Aqua” in Auqua Ventus by Anze Rozman to rapid, virtuosic technique as heard in Steeley Pause by Jennifer Higdon to beat-boxing and modern percussive effects as heard in Raga Sept by Derek Charke. “We are very grateful to celebrate the release of our album with our friends, family, colleagues, and professors who have mentored us from the start. Recording this album was an attribute to our success in competitions and conferences over the past academic year”, said Tatiana Cassetta from Royal Oak, Michigan. BETA launched a crowdfunding campaign through Indiegogo in order to raise the funds to cover production costs, CD manufacturing, mechanical licenses, and distribution. If it were not for the support of many generous sponsors the release of this album would not have been realized. The campaign was extremely successful by its end in August 2017, exceeding the goals and bringing in 103% of the needed funding. The CD release party ended with thunderous applause from the audience and concluded with a reception where the ensemble was warmly greeted. “BETA is incredibly grateful for our supporters. We are so thrilled and happy to celebrate our hard work and success with everyone,” said Brittany Trotter, second year doctoral candidate from Laurel, Mississippi. The album is available for purchase through their website. To learn more about the group, visit www.betaquartet.com. 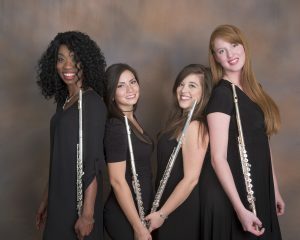 You can also follow the BETA Quartet on Facebook, Instagram, and Youtube @BETAQuartet.